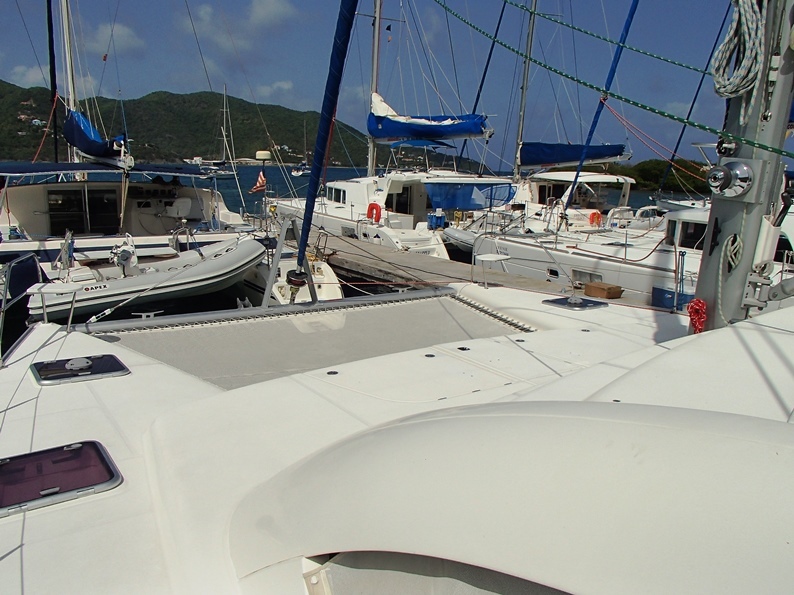 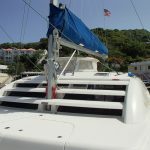 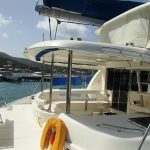 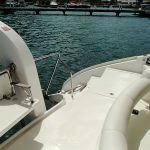 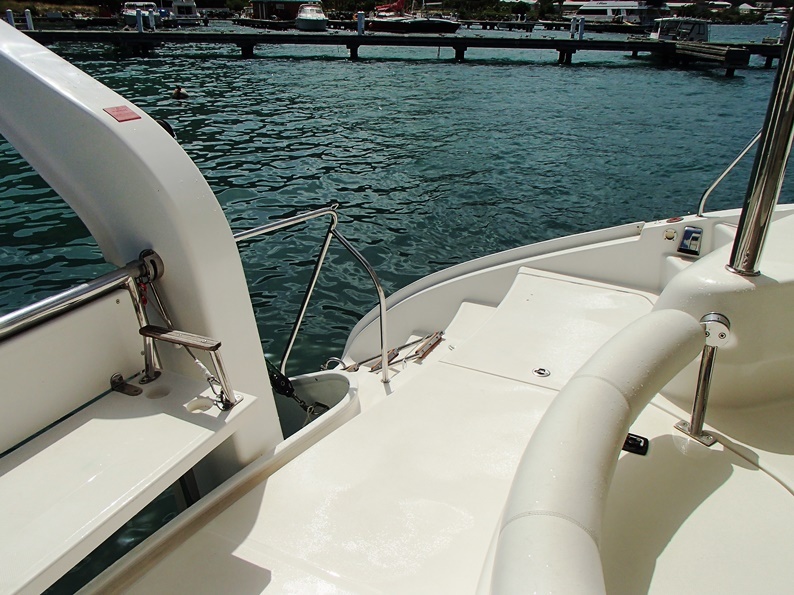 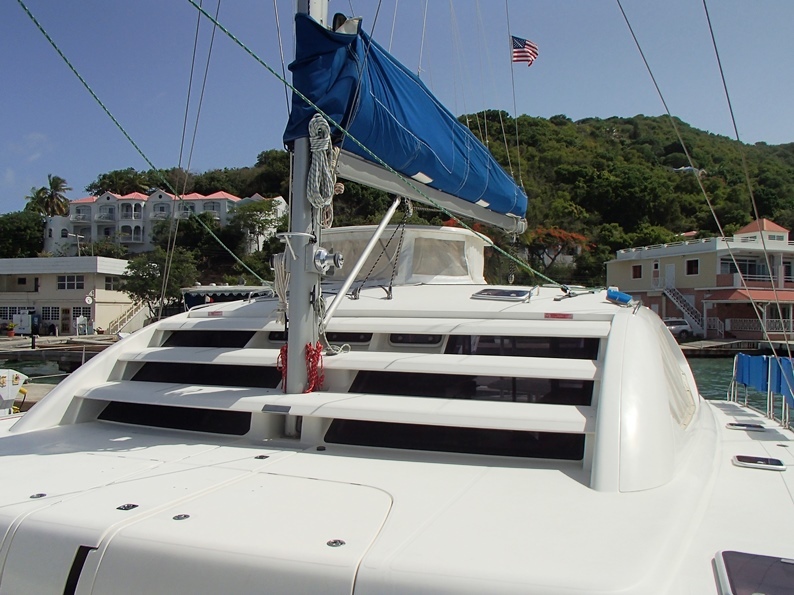 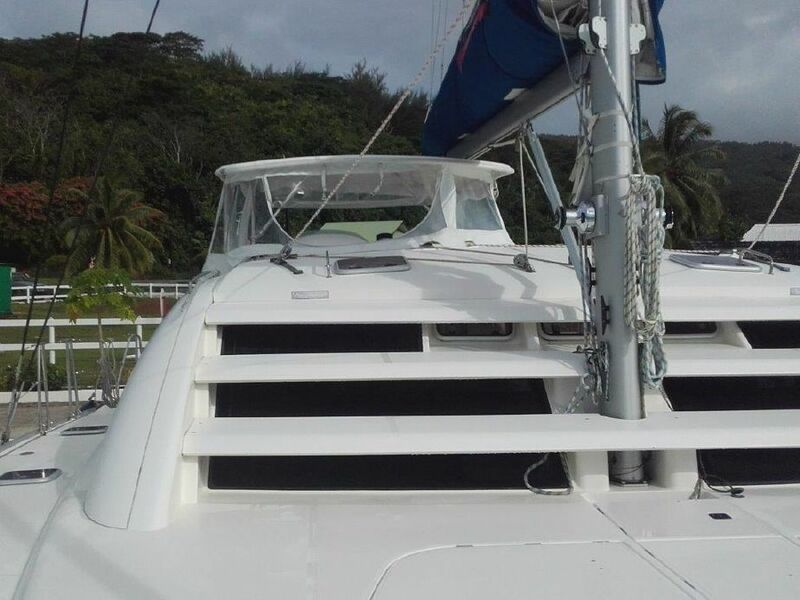 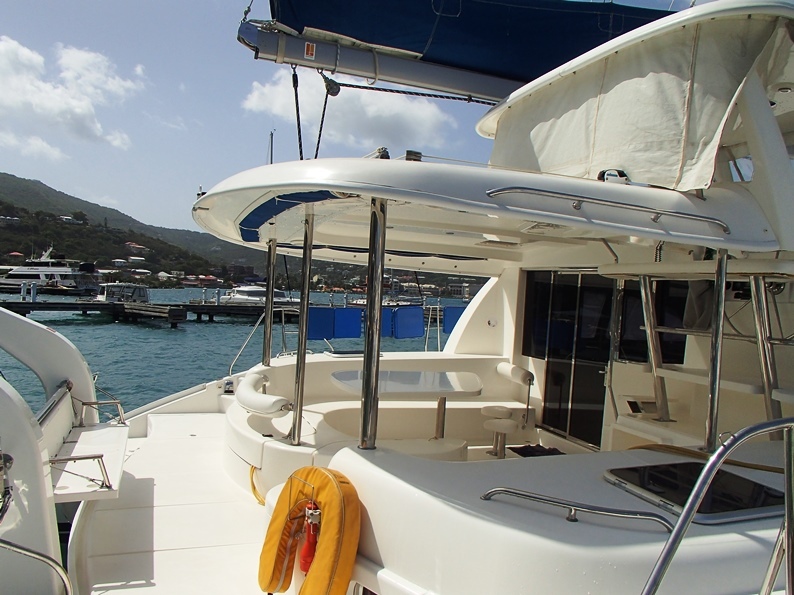 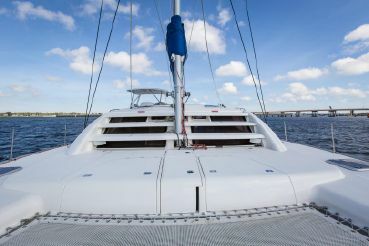 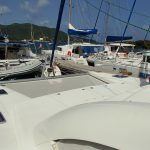 The Leopard 46 with its 4 cabins and 4 heads 2011 is a very popular charter boat in the BVI. 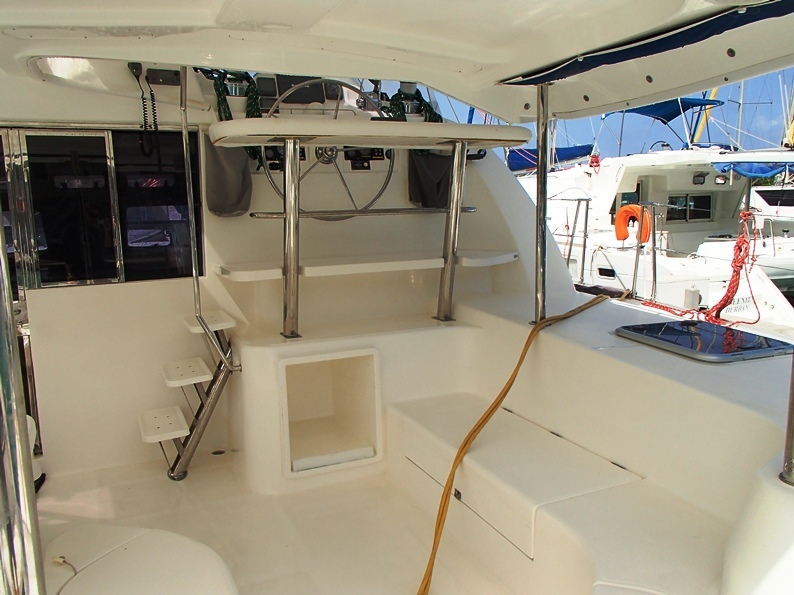 It has a very spacious cockpit, with a raised helm which can comfortably seat 3 people. 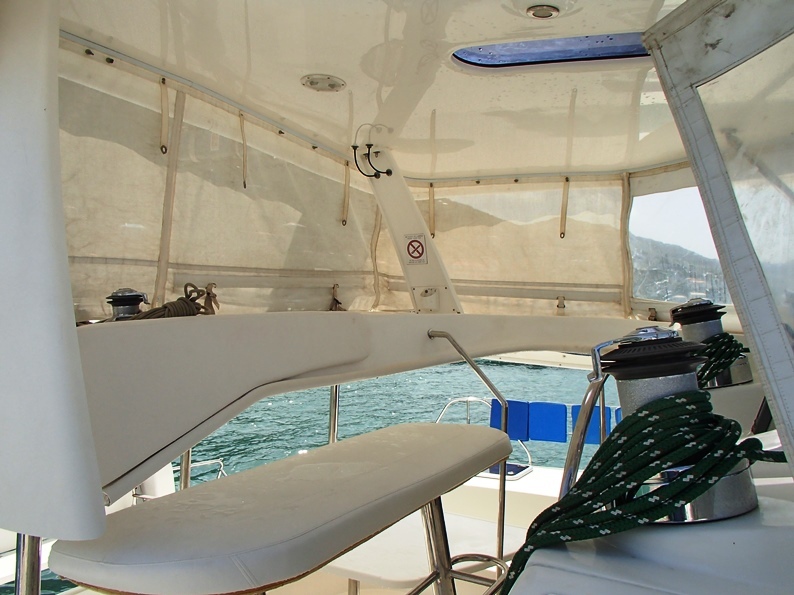 With all of the lines led back to the helm, sailing this boat is easy even with a reduced crew. 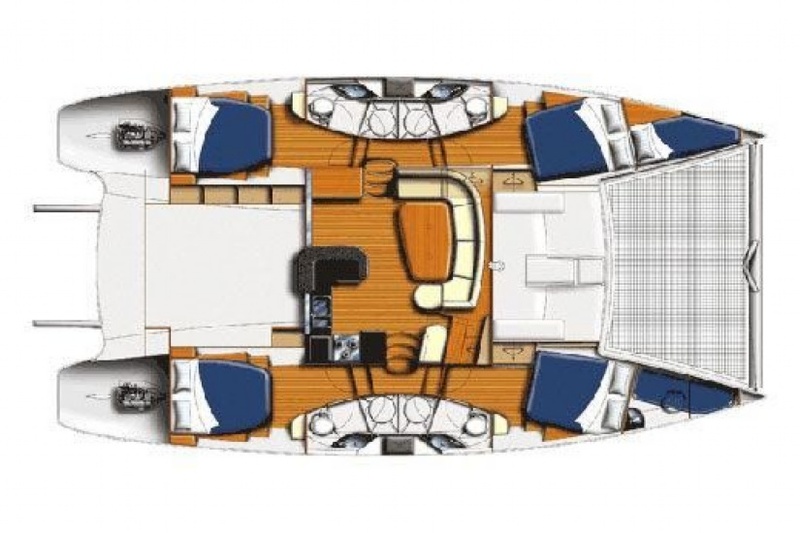 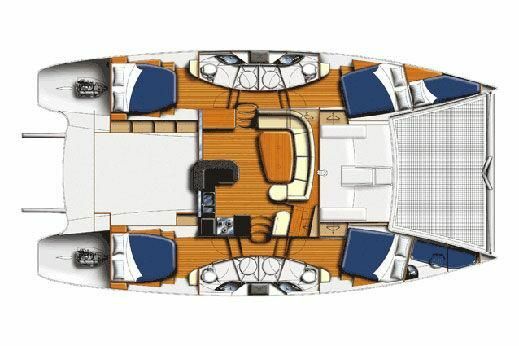 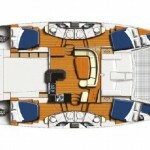 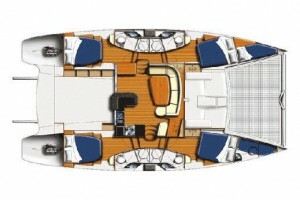 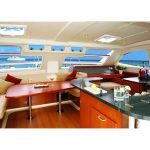 The Leopard 46 has a large saloon table with seating on three sides. 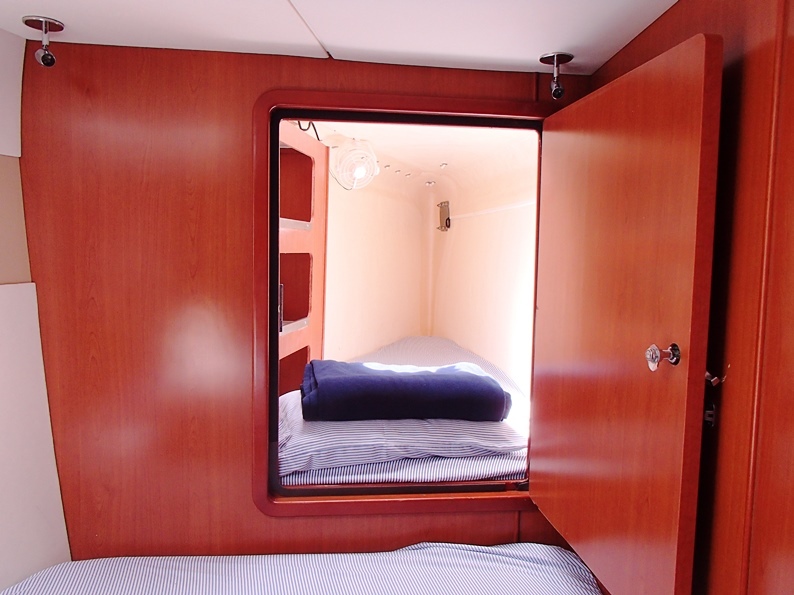 The chart table faces forward so you can sit on the padded stool and see out to the relaxation nets. 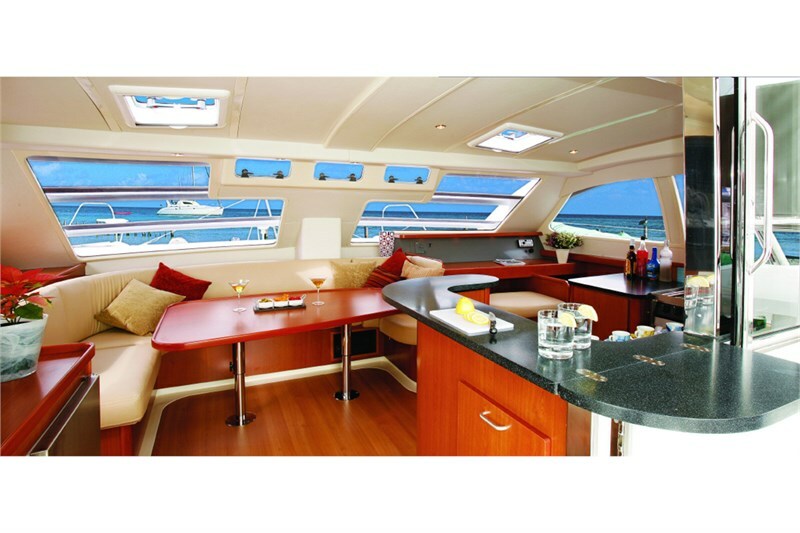 The galley is fully equipped with stove, oven, refrigeration and microwave. 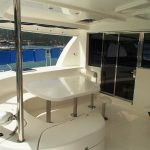 It is nicely finished with corian work surfaces. 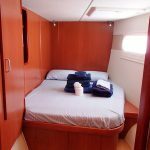 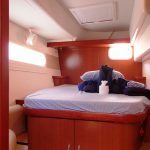 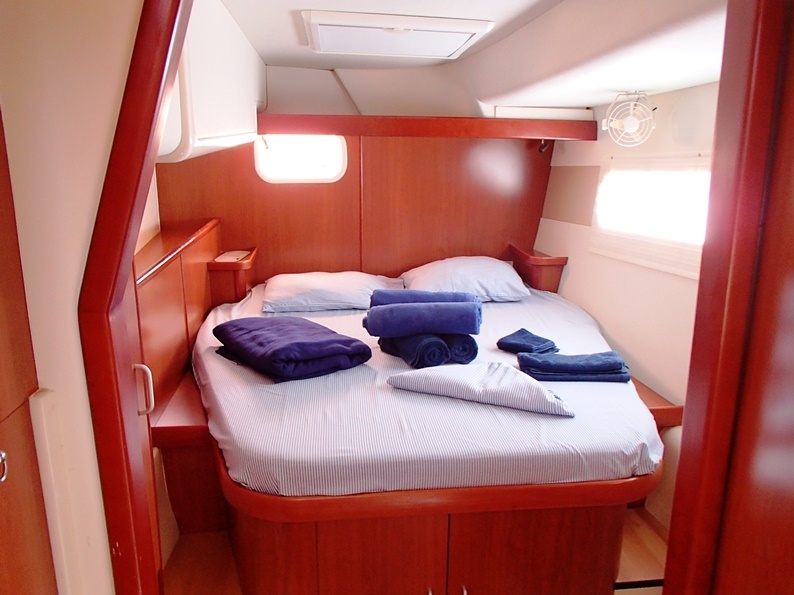 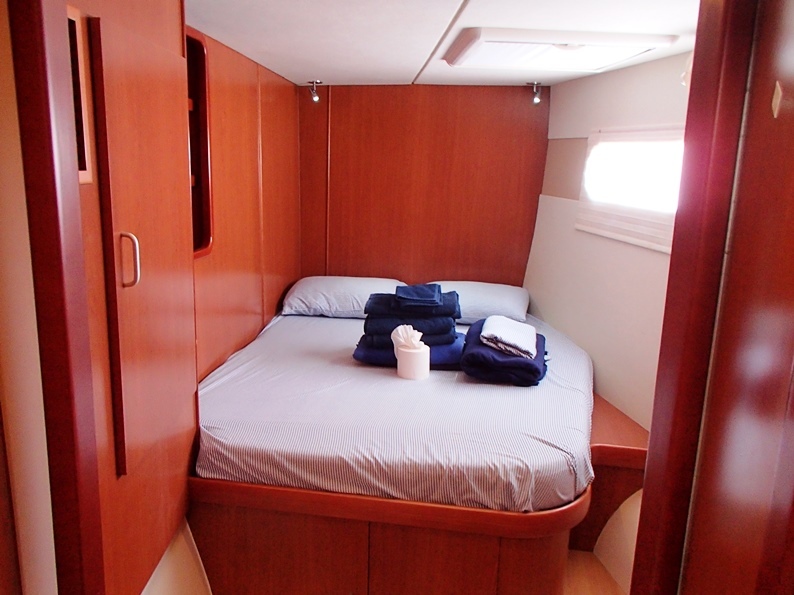 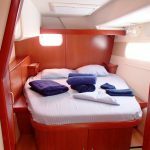 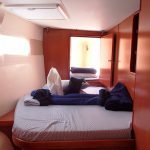 All four cabins are very spacious, with plenty of storage space for your clothes and personal items. 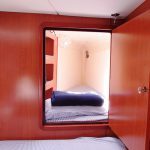 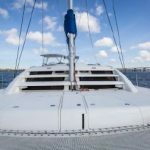 Each of the four heads has a separate shower stall, which makes showering on board more comfortable. 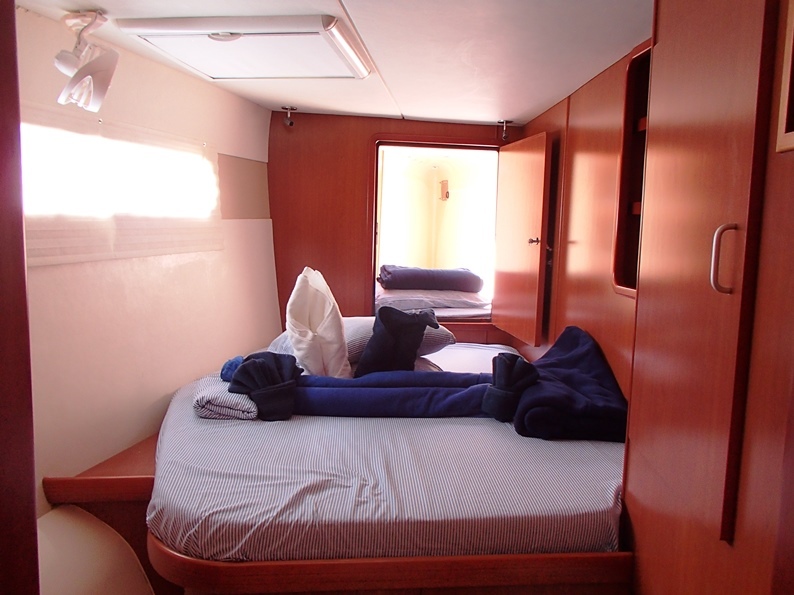 As well as having full air conditioning with a generator, all of the cabins, saloon and galley areas also have fans. 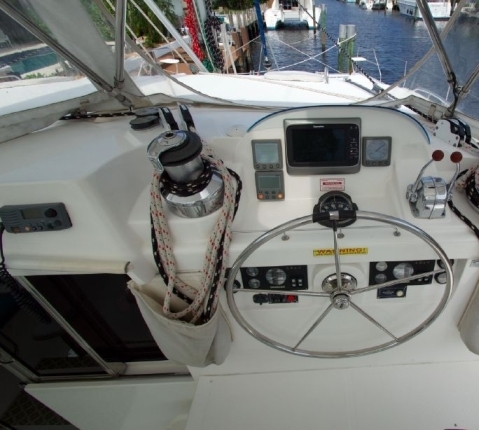 The raised helm not only gives excellent visibility but also houses most of the controls, which makes sailing shorthanded relatively easy. 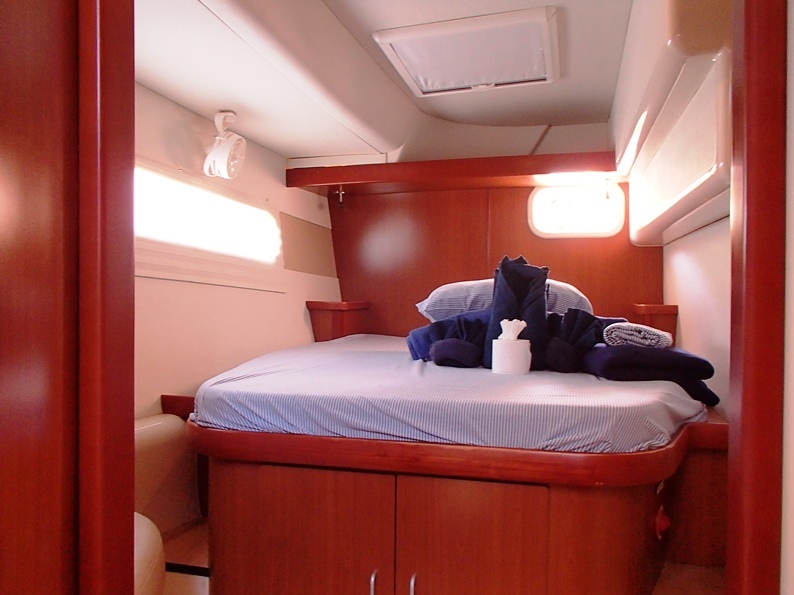 The cockpit has been re-designed in this 2011 model to allow more storage room under the helm, giving the cockpit area more space. 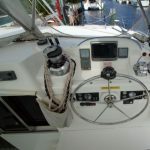 There is also additional steps that lead to the helm from within the cockpit area. 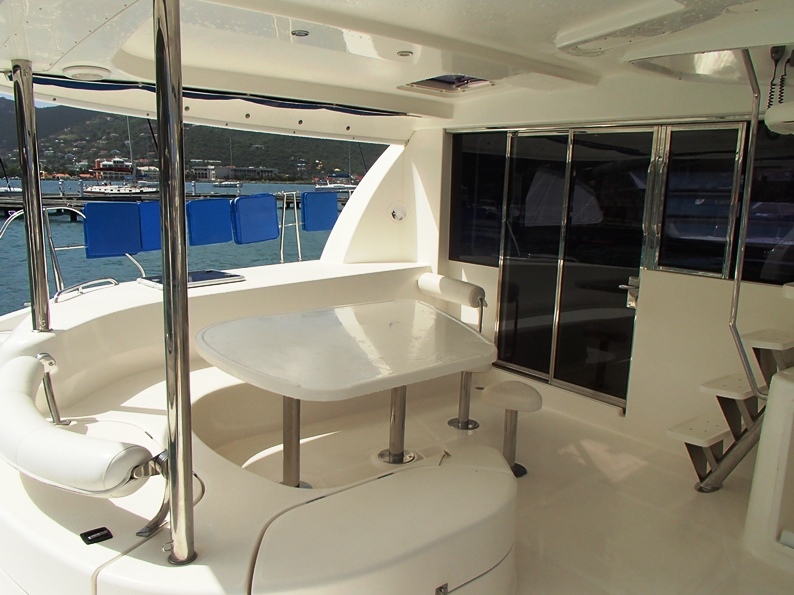 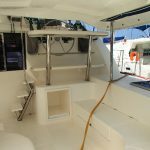 The aft deck bench seat converts to a swim platform, which is great to use as a swim up bar for bobbing in a beautiful BVI bay. 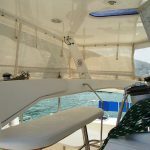 The large relaxation nets are a great place for taking in the sun, or chilling with a cocktail as the sun goes down. 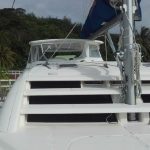 Sorry - your web browser does not support modern video codecs.